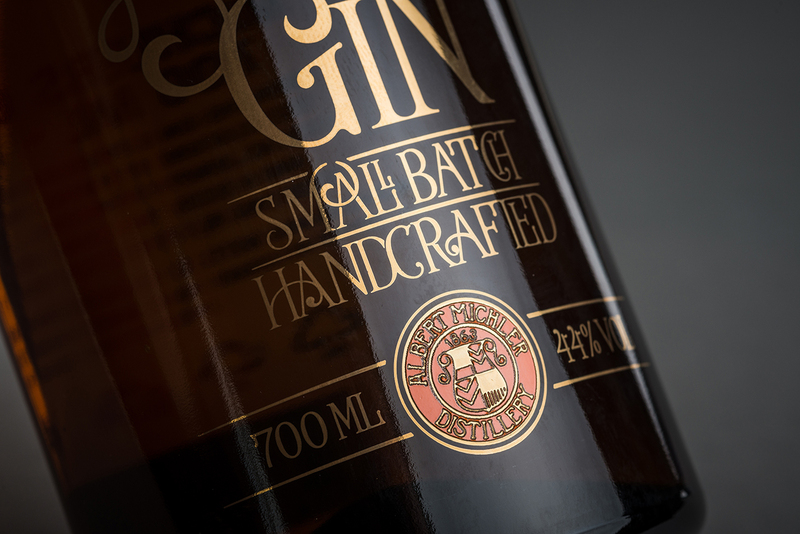 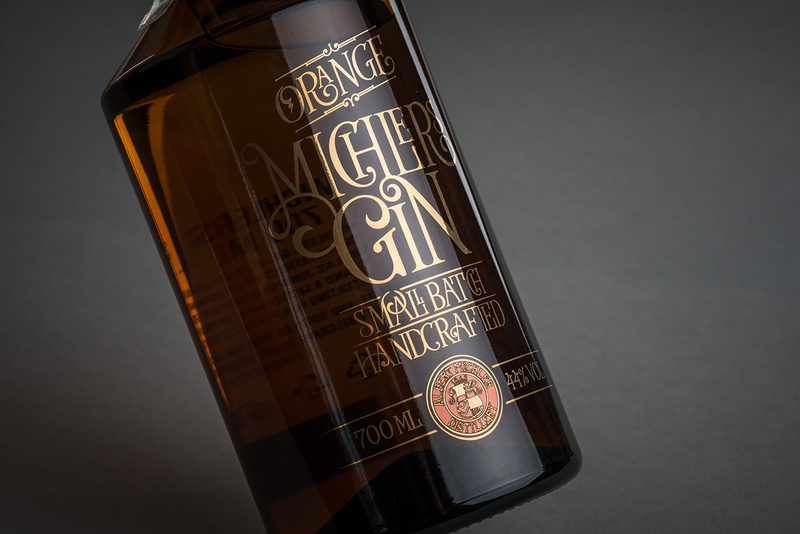 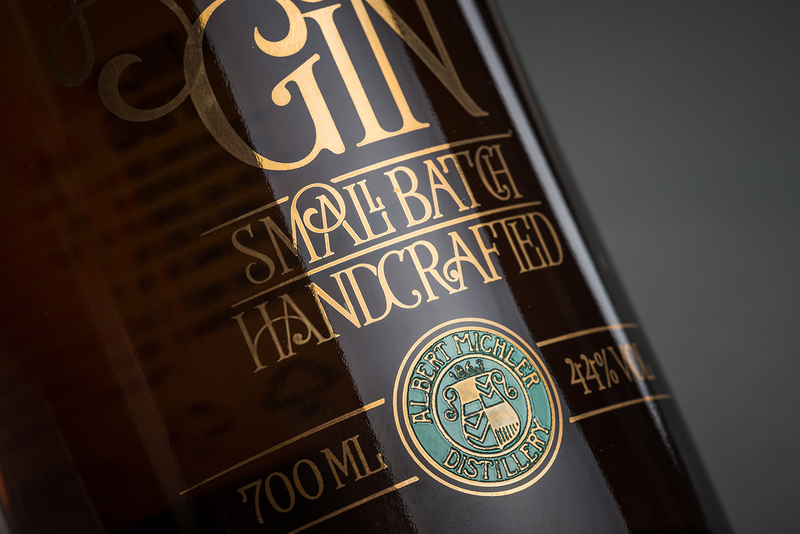 A new design of the gin product line for Albert Michler Distillery. 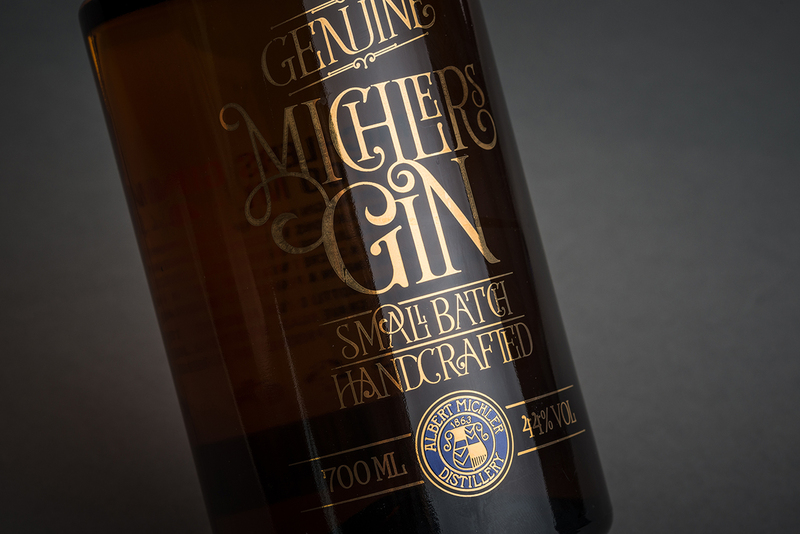 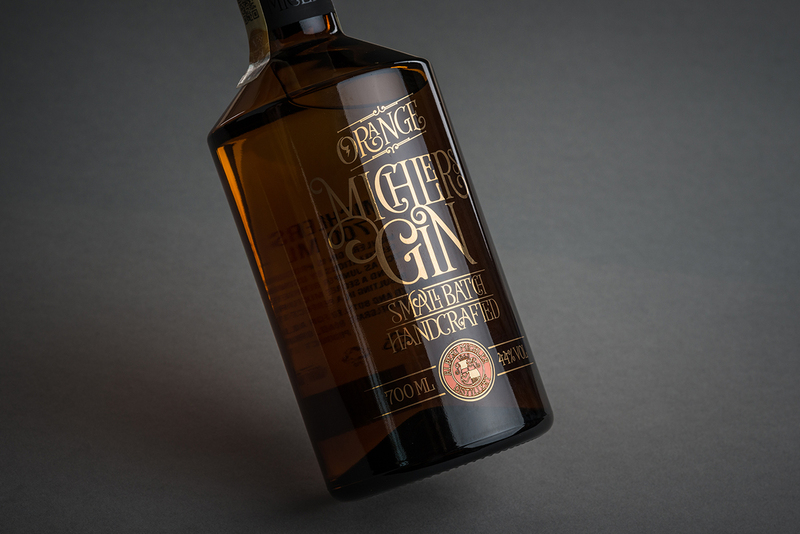 The graphic design is applied straight onto the body of the bottle in a form of a characteristic typography. 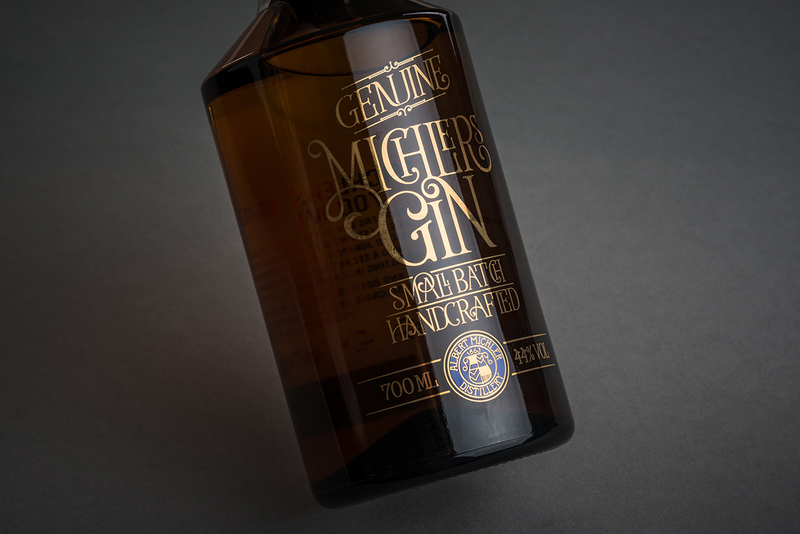 It is printed in gold colour which is in harmony with smoky brown tone of the glass. 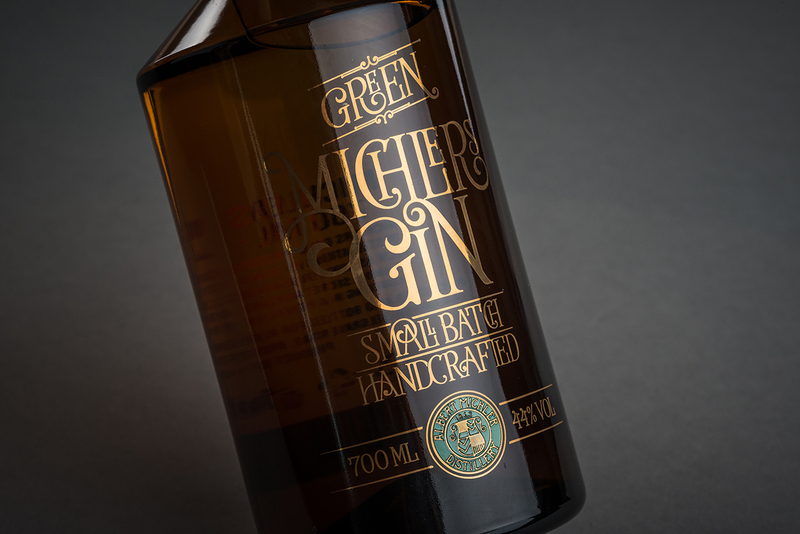 The colours and typographic ligatures are used as decorative accents referring to year 1863. 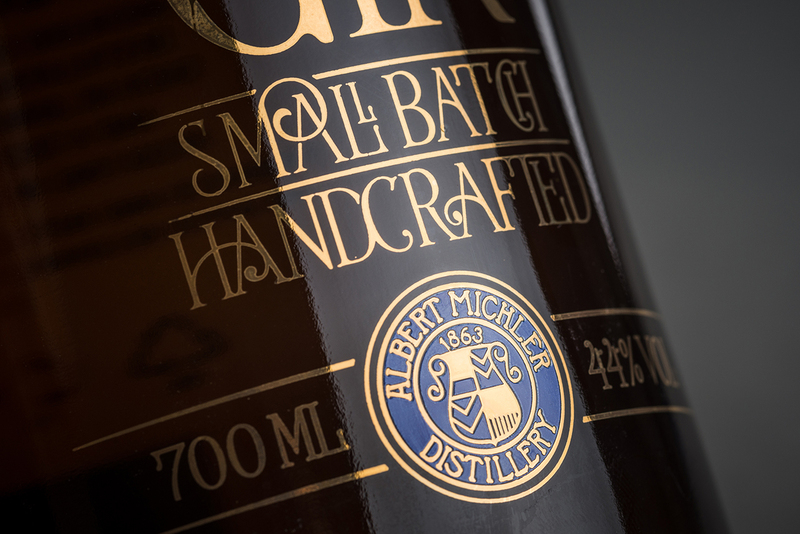 In that year the brand Albert Michler was established in Buchsdorf. 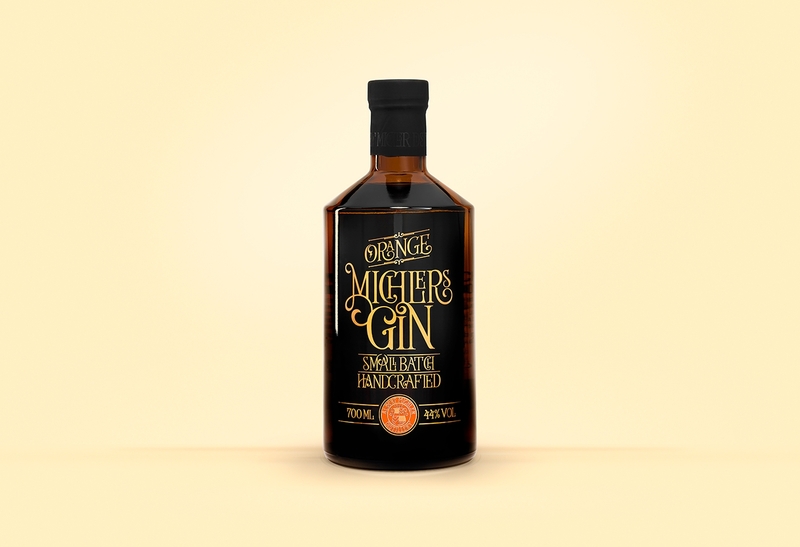 The Michler’s Gin is being marked as “distilled gin” because the production process takes place in six different distillation processes. 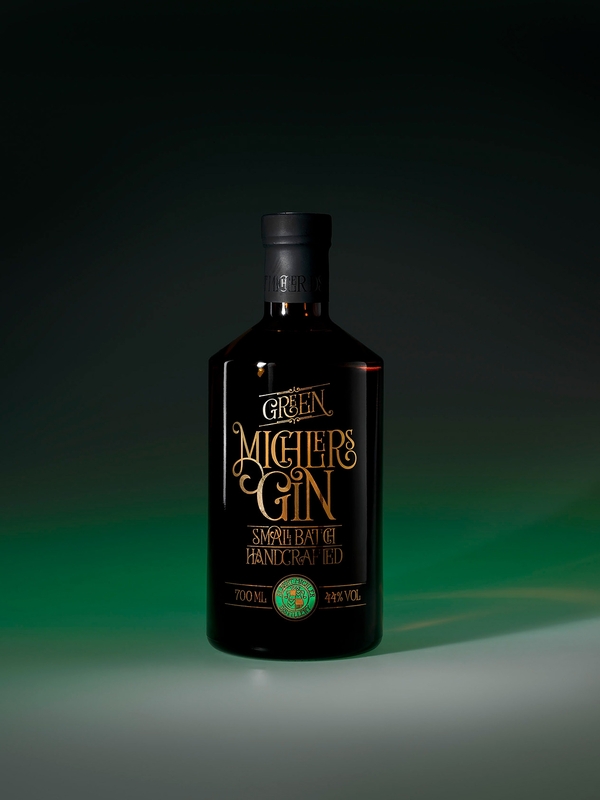 Various ratios of herbs and spices are used for every single phase of the distillation. 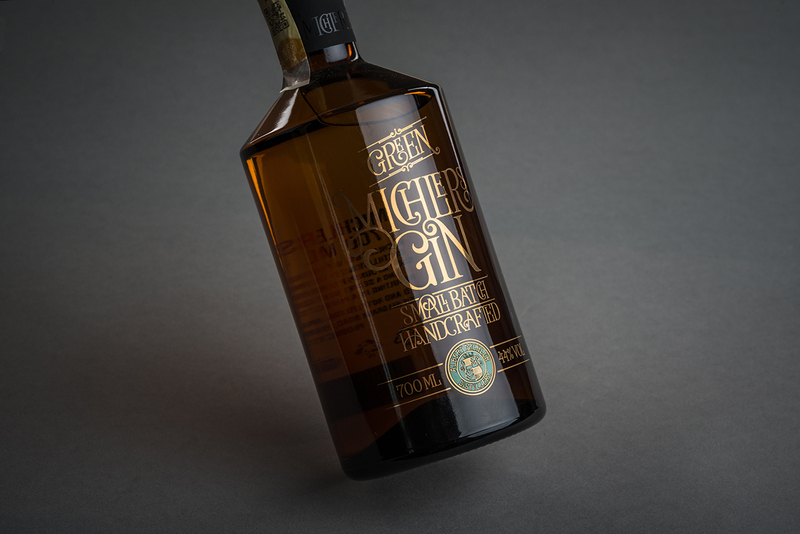 This process takes place in Germany in a traditional distillery, where the craft is inherited from the fourth generation. The production is supervised by the one of the most respected and qualified distillers Frank Braun.